We are Intel® Platinum Technology Providers! 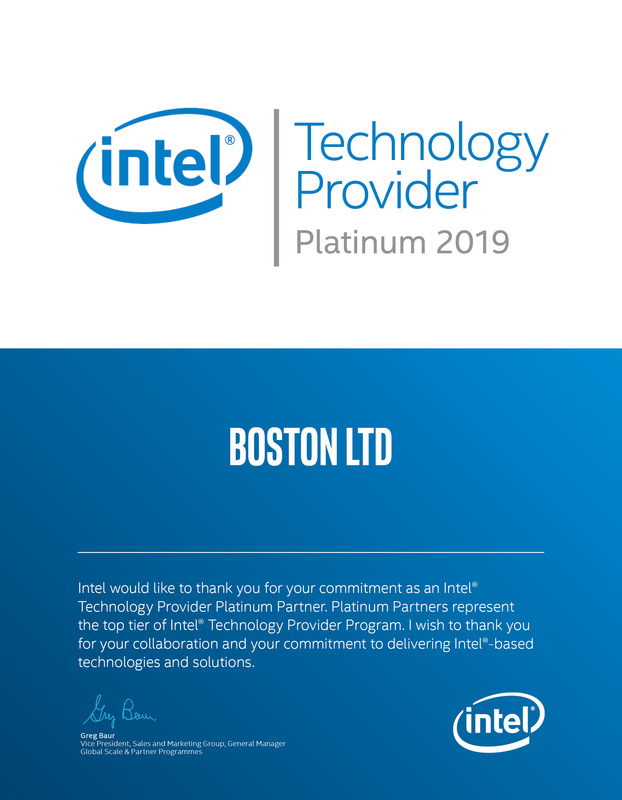 Boston are pleased to announce we have been recognised as a Platinum partner of the Intel® Technology Provider programme for 2019! A PDF copy of our Platinum status letter can be found here.